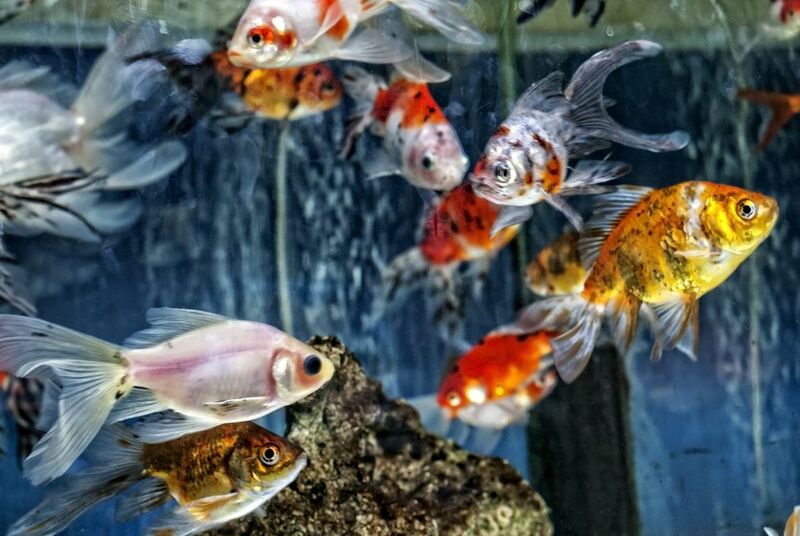 Most people know they need to provide a cool area for their cats and dogs during summer heat waves, but what about fish? Just because your fish are in water doesn't mean they're safe from the effects of high temperatures. Heat can become a problem if it is markedly elevated for a considerable period of time (which might be possible during a prolonged hot spell). The Angelfish, Guppies, Mollies, and Silver Shark, will have absolutely no problems with a current temp of 81.14 F/ 27.3 C. The Clown Loach enjoys water as warm as 86 F/ 30 C and is probably thanking the weather person for the lovely warm water. As long as the water temperature does not remain above 30 C (86 F) for weeks on end, you need not be concerned. However, as the temperature rises, the oxygen saturation in the water tends to fall. If you have a good filtration system, odds are you don't have a problem. Nevertheless, it won't hurt to increase the aeration to assure proper levels of oxygen. You should also perform water changes more often, using water that is a degree or two cooler than the tank water. That will serve to keep the water temperature down and maintain adequate oxygen levels for your fish. In the event of a lengthy heat wave, you might have to take steps to cool the water. Here are some suggestions for keeping the water cool and ways to lower it's temperature if it goes to high. Keep the aquarium lights turned off. Make sure the room does not receive direct sunlight. Remove the hood and lid from the tank (use caution if your fish are jumpers). Also, keep an eye on any cats you may have. Place a fan so that it blows directly across the water. Float ice packs in the water. Considerable debate exists over the use of a small ice pack inside a box, power, or canister filter. Certainly an ice pack will cool the water; however, the drastic temperature difference traumatizes the bacterial colonies growing on the filter media. It's usually not recommended to put ice or cold water packs inside a filter. An alternative for aquariums with a canister filter is to lengthen the outlet tube enough so that it may be placed in a bucket full of ice. The water will be chilled after it leaves the pump, which will not affect the bacteria on the filter media. Regardless of which method you use, be sure to keep the rate of reduction slow - about 2 F/ 1 C every eight to ten hours. Remember, rapid water changes are harmful to your fish. You want to keep an eye on your aquariums water temperature from the time the heat wave starts. You want to do your best to keep your aquarium cool rather than have to find a way to cool it off.